Experimental Dark Ambient based on processed field recordings and synthetic soundscapes. All tracks are composed and produced in surround 5.0/5.1. The tracks are all produced at the NSONICS studio with several software and hardware tools, including surround room simulation hardware. Field recordings were mostly done with high end analog and digital microphones in stereo or surround. This was an experimental computer animation and music video. To my knowledge it was the first all digital (picture and music) production in Europe. It also can be found in the Siggraph show reel of 1991. An annotation about sound from Carla Scaletti (Symbolic Sound Corporation), processed for a radio documentation of the WDR/ARD. Mostly it was done with the Kyma system, a sophisticated sound design environment, which was developed by Carla. She is president of Symbolic Sound Corporation. This example is also used by Symbolic Sound for their own presentations and is part of the factory sound library. Video art work of Isabella Trimmel (snippet). Original music by Nirto Karsten Fischer in 5.1 surround format. www.isabella-trimmel.de. 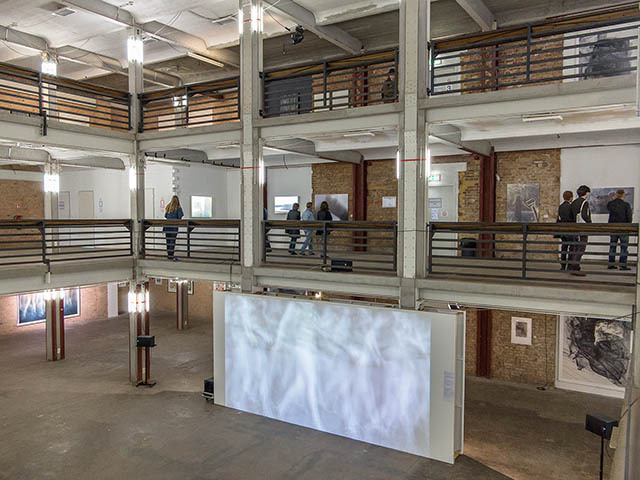 These video works were shown with surround sound at the Berlin Art Week 2015 as TRANSITIONS.